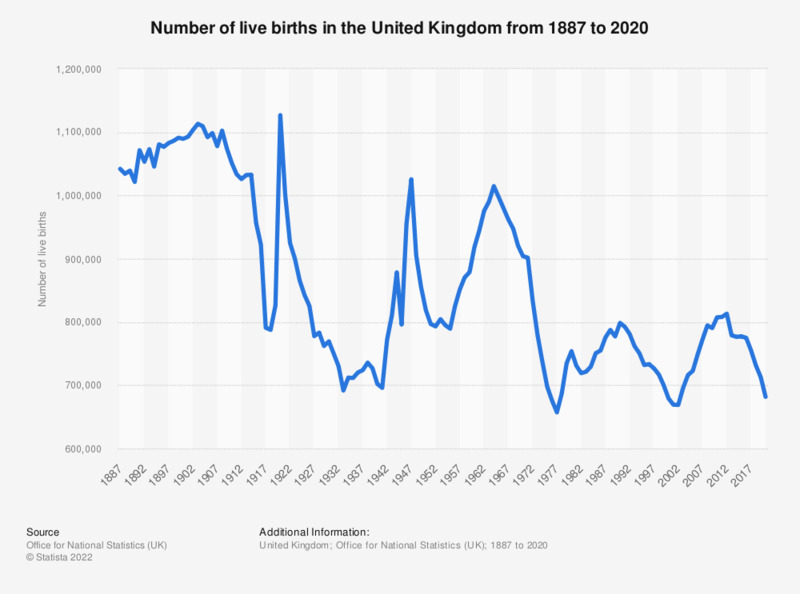 This statistic charts the number of live births in the United Kingdom (UK) from 1990 to 2017. After a decline at the start of the period, live births rose continuously from 2002 to 2008. Overall, live births experienced a net decrease over the period, amounting to just over 755 thousand in 2017, compared with approximately 798 thousand in 1990.